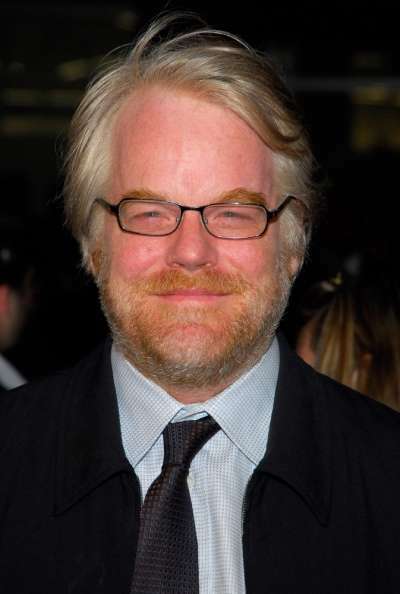 This past weekend Americans were shocked and saddened to learn that one of our greatest actors, Philip Seymour Hoffman, had died at age 46 of an apparent heroin overdose. Hoffman’s death, in the prime of his life and career, is a poignant reminder of some of the harsh realities of a disease that 17.7 million Americans struggle with and that all too often cuts their lives short. It reminds us, first of all, that addiction is a chronic, relapsing disease. Having undergone treatment in his early twenties, Hoffman is reported to have remained drug-free for over two decades, until a developing prescription drug problem led finally to heroin use and entry into a detoxification facility last year. Drugs change the brain—as we at NIDA tirelessly repeat—and even decades of abstinence from drugs may not entirely erase their imprint from the brain of a person in recovery. Hoffman’s case also reminds that, as with any other chronic disease (such as heart disease or diabetes), treatment must often be repeated or may need to be ongoing. In the case of opioid addiction, there are effective medications that can make all the difference, but they remain frustratingly underutilized. The opioid antagonist naltrexone, for example, can now be delivered via extended-release injection, to block the effects of heroin or other opioids; and buprenorphine and methadone are effective maintenance medications that can reduce cravings and help an addicted person recover. But many treatment centers fail to offer medication-assisted treatments, or prescribe maintenance therapies at too low a dose, in the harmful and inaccurate belief that such treatment simply substitutes one addiction for another. It is time to move past this reluctance to treat opioid abuse with pharmacotherapies, as it only adds to the death toll from heroin and prescription painkillers. We do not yet know the details of Hoffman’s relapse or what his treatment last year consisted of. We do know, though, that his path from prescription drug use to heroin is all too common. Graduates from prescription opioids to heroin may be driving the current rise in heroin use being seen across the country both in national surveys and in reports from NIDA’s Community Epidemiology Work Group (PDF, 4MB) (Archives). Hoffman’s overdose death is tragic, and we all feel the loss. We must remember, however, that this is not something that only happens to celebrities. Every day in America, 105 people die from drug overdose, although in most of those cases, few hear about it—they are just part of the statistic. Hoffman’s death further highlights the urgency to prevent and treat the disease of addiction. So glad you mentioned the many that die every day that only become a statistic.. Even in death they are not recognized. There is still a double standard. I'm glad that this issue is gaining traction and being pushed to the forefront. I'm just very sad that it took the death of an actor known for dependency to bring it there. Young adults from our community WESTCHESTER COUNTY, a suburb of NEW YORK CITY, have been dying from accidental heroin overdoses for quite some time now. In one week, three young men died here. Don't their lives mean anything? And marijuana use among high school students is epidemic. More students are smoking marijuana than cigarettes. As parents and community activists we feel powerless against the popularization of drug use in the media. It's all over the movies and TV and it's just glamorized by those that create it. It's available to anyone who wants it. It can be gotten more easily than cigarettes or alcohol. The laws need to change to protect our children and young adults from even starting. Doctors and health care providers need to stop providing opiates to patients long beyond the point of the patient needing them. It would be important to hightlight that P.S.H. died alone in his apartment of the overdose. Being alone with a progressive, chronic and relapsing addiction is a deadly duo. It would be a mistake to leave mutual support and 12 Step Meetings off the list of underutilized and underrecommended treatments. Networks and sponsors are almost everywhere (paryticularly in a major city like NYC) ready to help the addicted person in AA, NA and prescription drug abuse anonymous and other support groups. They help by offering informed, compassionate, often effective companionship (for fellowship) to combat the aloneness of addiction. It would also be an oversight to neglect the role of alcohol. It contributes to many more addiction related deaths every day than the number cited above. All too commonly the use of the drug alcohol accompanies and facilitates a fatal opiate overdose. You admitted you didn't know the details, but it didn't stop you from drawing the usual conclusions. The day will come when our tax dollars no longer go to this farce. The people need INFORMATION. Not your information. And they need love. Not your judgement, and not your fear. I greatly appreciate Dr. Volkow's statements regarding the chronicity of addiction and the under-utlization of medication assisted therapies. There is a dire lack of understanding and, far too commonly, stigmatization of individuals who are receiving these treatments. Also, the need for ongoing treatment via medication assisted treatment and/or counseling is frequently underestimated. Chronic illness requires long term maintenance and understanding (with compassion) that recovery occurs via many pathways. My son is 22 years old and is a herion addict. He is in a recovery center for the second time this month. I am so angry at the disease and the dealers. I think we need a Hotline, posters and flyers saying " turn in a dealer you will save a life " with a toll free number to give police a tip. NIDA. "Another Reminder of the Terrible Toll of Addiction." National Institute on Drug Abuse, 5 Feb. 2014, https://www.drugabuse.gov/about-nida/noras-blog/2014/02/another-reminder-terrible-toll-addiction. NIDA. Another Reminder of the Terrible Toll of Addiction. National Institute on Drug Abuse website. https://www.drugabuse.gov/about-nida/noras-blog/2014/02/another-reminder-terrible-toll-addiction. February 5, 2014.